Hope Crolius, seen here with Dan, says the goat business came with a steep learning curve. Hope Crolius remembers that it all started … well, quite organically. The customer inquiry that changed and enriched her life in several ways came in 2010 from a landowner in Shutesbury who had a barn and pasture that hadn’t been visited by grazing animals in some time and was starting to fill in with what Crolius called “early-succession woody plants” — red cedar and certain kinds of cherries. Actually, before going for it, she did a little research and quickly discovered that what this landowner really needed were some goats, not sheep, because the former ‘browse’ while the latter graze, an important distinction. And she went about getting some — not for him, as it turned out (although she didn’t really know it at the time), but for her. Crolius eventually acquired three mixed-breed ‘mongrels’ that would form the foundation of an enterprise known now as the Goat Girls. It’s known not only throughout this region, but across the state and in other parts of New England. That’s because there aren’t many operations like this in the Northeast — they are more popular in other regions — and also because there is a rapidly growing constituency that, like the landowner in Shutesbury, would prefer to clear brush and invasive plants in a decidedly green fashion. Indeed, while this is definitely the off season for the venture’s 19 goats — who are spending their time enduring the cold (something they do rather easily) while dining on a large supply of donated Christmas trees, among other things — the spring’s schedule is filling up, and fast. And it’s been that way almost from the beginning. The Goat Girls’ 19 goats are currently feasting on hay and Christmas trees, but soon they’ll have tastier fare, such as poison ivy and bittersweet, to munch on. Today, teams of goats (usually six or seven to a team) are dispatched to jobs large and small, at a rate that averages $575 per week. Clients have ranged from homeowners looking to clear a portion of a two-acre lot to the administrators of the 64-acre Boulder Brook Reservation in Wellesley, who hired the goats and their herders to clear the poison ivy, wild grape, and bittersweet that started invading the premises after crews for a nearby landowner cut down nearly 100 trees in 2011, letting the sunshine in. 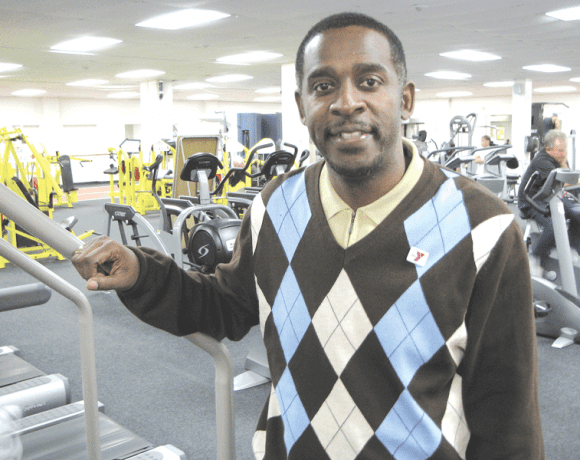 There is no five-year plan for this venture or something approaching a firm, long-term strategy, but there is already talk of expansion and perhaps even licensing or franchising the operation. Meanwhile, one new, and popular, twist is an intensive training course the company offers to those from outside its service region who may want to start something similar. It all sounds easy, but there was actually a steep learning curve involving everything from pricing to goat maintenance and veterinary care; from the ins of outs of electrified fencing to simple math — how many goats does it take to clear a certain amount of acreage? For this issue and its focus on environment and engineering, BusinessWest takes a look at that learning curve and how the Goat Girls, even though it remains a very small venture, has became a rare breed of business success story. While quite proud of what she’s done with the Goat Girls, Crolius stressed repeatedly that this concept is certainly nothing new or imaginative — at least not the part about goats doing the work of lawnmowers, pruners, and herbicides. Indeed, she said goats are second only to dogs in terms of the origin of their domestication, and there are those who say they actually predate canines in that regard. Meanwhile, goats have been used to clear brush and unwanted plant species for centuries; during World War II, when gas was heavily rationed, homeowners, golf courses, and park superintendents used sheep and goats to keep their grounds in order. More recently, goats have been used in forest-fire-prone states like California to clear the undergrowth that can fuel such a blaze and extend its life, and sheep now patrol a number of landmarks in Paris as an alternative to lawnmowers. What is relatively new — again, at least in this region — is the notion of goats as a viable, profitable business, said Crolius, stressing the importance of both those adjectives. This brings her back to that learning curve she mentioned, because, in her estimation, it took probably three years to “figure all this out” and enable this subsidiary to finish a year in the black. By ‘all this,’ she was referring to everything from goat diet and nutrition to determining how much the animals could clear in a day, week, or month; from understanding good goat working conditions (they don’t mind heat or cold, because they’re essentially desert animals, but really don’t like rain or wind) to determining how many times a crew would have to return to a site to effectively subdue a patch of poison ivy (three or four, by her count). There were also lessons in worker productivity (only females and spayed males, known as wethers, are used, to make sure the help is focused solely on their work). 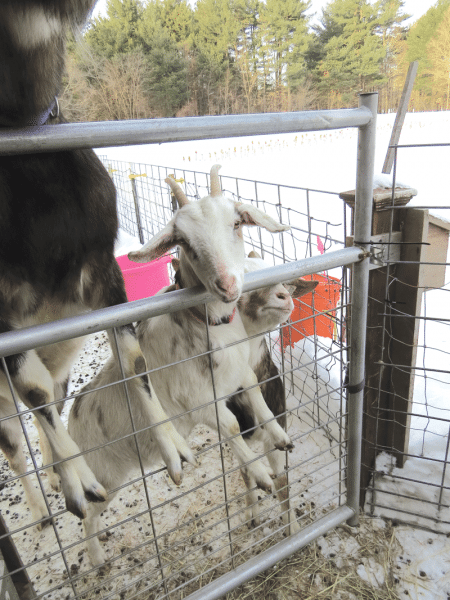 The process of learning these and other things began not long after that Shutesbury landowner said ‘go for it,’ said Crolius, adding that her foray into goats was a natural extension of what she was doing at the time. And that was fulfilling an entrepreneurial urge that took her far afield from journalism, quite literally. “I gave up writing for something more physical, and also to have my own time,” she explained. “Of course, I learned that going into business for yourself does nothing of the sort — a 9-to-5 job looks positively luxurious right now. “But I still wouldn’t trade what I’m doing for a 9-to-5,” she went on, adding that Artemis Garden Consultants specializes in what she called “non-mechanical dimensions of landscape care — anything but mowing and blowing,” with a heavy accent on weeding, edging, and mulching. The Goat Girls venture now has a wide array of clients, each one looking for a ‘green’ solution to their landscaping problem. Over the years, she had built up a large portfolio of residential and commercial clients, most of them in Hampshire and Franklin counties, and wasn’t exactly looking to diversify into four-legged brush clearing, but, as they say, opportunity knocked, even if she didn’t realize it at the time. The goats Crolius purchased from that farm owner back in 2010 went for roughly $100 each, or a fraction of what a purebred Labrador retriever puppy might run. But while the animals, at least the mixed-breed varieties, certainly won’t break the budget, the overall startup costs, though light compared to some other businesses, are not insignificant, she told BusinessWest. One must factor in housing for the animals — she’s renting about a quarter-acre within a large farm in East Amherst and built an elaborate pen/office complex on it — as well as transportation to get the goats to and from a job; the electrified fencing that keeps them focused on their assignment and not the roses, hostas, or geraniums that they will also eat; and other factors. But there is certainly enough demand for ‘green’ landscaping services, not to mention the frequent requests for goats for children’s birthday parties, festivals, and other occasions, to recover those costs, said Crolius, adding that the key to profitability is analyzing the numbers, making smart decisions with resources, and creating a workable model, which, as she said, took some time. Dan Green, president of the Green Internet Group, who helped Crolius get the operation off the ground and expand it, and currently handles the Goat Girls website, agreed, saying this amounts to a new business sector, one where the entrepreneur has to learn by doing. 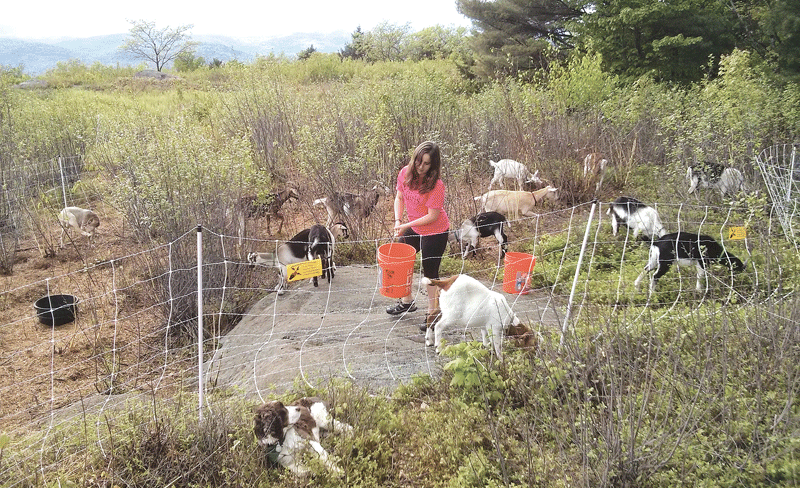 Over time, Crolius calculated that a team of seven goats could clear a quarter-acre in a week, or an acre a month, performance that varies with the density of the brush and the frequency of fence moving. This allowed her to effectively price and allocate her services for what usually amounts to a 28-week season. But as she became more experienced, Crolius, like all successful business owners, learned new ways to become more efficient and, therefore, more profitable. For example, she realized a few years in that she could reduce expenses significantly, and make customers even more happy (in most cases, anyway), by leaving the goats with a client for the duration of their assignment (they hang in a portable pen), rather than dropping them off and picking them up every day, along with their herders. “You instruct the client on how to take care of them, and believe me, the clients can’t get enough of them; they change their water, they talk to them … they hate to see them go,” she said, adding that, because most clients have gardens, they’re even grateful for what the goats leave behind after all that munching. While making her foray into goats profitable, Crolius has, along the way, taken a number of steps to make it more rewarding personally. One is an extension of what she called an apprenticeship program at Artemis Garden Consultants that enables young people to join the venture as interns and gain invaluable experience toward a variety of different careers. 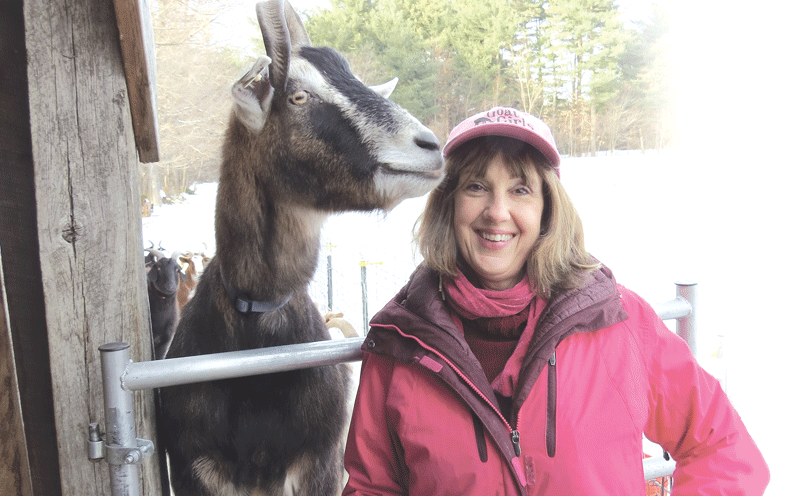 “My joy in life is hiring young people and giving them the opportunity to have hands-on, on-the-job field training,” she told BusinessWest, referring to her gardening business while noting quickly that she has taken that same passion to the Goat Girls. Indeed, as she was saying those words, as if on cue, Emilie Rabideau, a pre-veterinary-science major at nearby UMass Amherst, arrived to help tend to the goats. As for the training program, set to commence in a few weeks, Crolius stressed that she is not breeding competition, but rather creating opportunities for more goat businesses and, therefore, more ‘green’ landscaping. Over the course of two intense days, attendees can learn about everything from field work to care for the animals to marketing their goat venture, said Crolius, noting that there are three sessions slated for this spring, and a great amount of interest has been shown. Looking ahead, but not that far, because that’s difficult to do in this business, Crolius said expansion is possible, although there comes a point where simply adding more goats is not cost-effective. Meanwhile, licensing the concept is an option that’s being explored. For now, she’s focused on honing that business model, providing opportunities for young people to learn while doing, and making the region more green while also making some overgrown areas, well, far less green. As she wrapped up her talk with BusinessWest, Crolius went to assist Rabideau with letting the goats into the front portion of their pen for a late-afternoon meal of hay. Before doing so, she issued a recommendation — more like a warning, actually — to steer clear, because the goats will not go around anyone who happens to be standing in their way once the gate is opened. It was a warning well-heeded. Soon, the extreme energy the goats exhibited as they raced for their dinner will be directed toward the eradication of brush and invasive plants of all types and at all manner of venues.